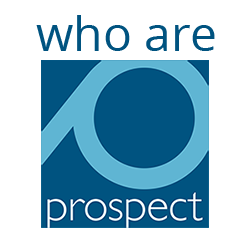 Prospect, a Trade Union for Professionals. Our members are engineers, scientists, managers and specialists in areas as diverse as agriculture, defence, energy, environment, heritage, shipbuilding, telecoms and transport. We are the largest union in the UK representing professional engineers. We are independent and forward-looking, and the diversity of our membership continues to grow. Over the past two years, members of the Jersey civil service association, the Association of Licensed Aircraft Engineers, and Connect became part of Prospect. Prospect represents the majority of Air Traffic Controllers, ATCs, in all major and regional airports alongside both en-route centres in Swanwick and Prestwick. We negotiate with more than 300 employers, not just on pay and conditions but on a range of issues that affect our members’ working lives: career development, contracts of employment, hours, leave, maternity, pensions, performance pay, promotion procedures, privatisation and company takeovers. If none of the above is relevant you can contact [email protected]. This is a referral centre for general enquiries and it can take some time for your message to be passed onto the appropriate department.